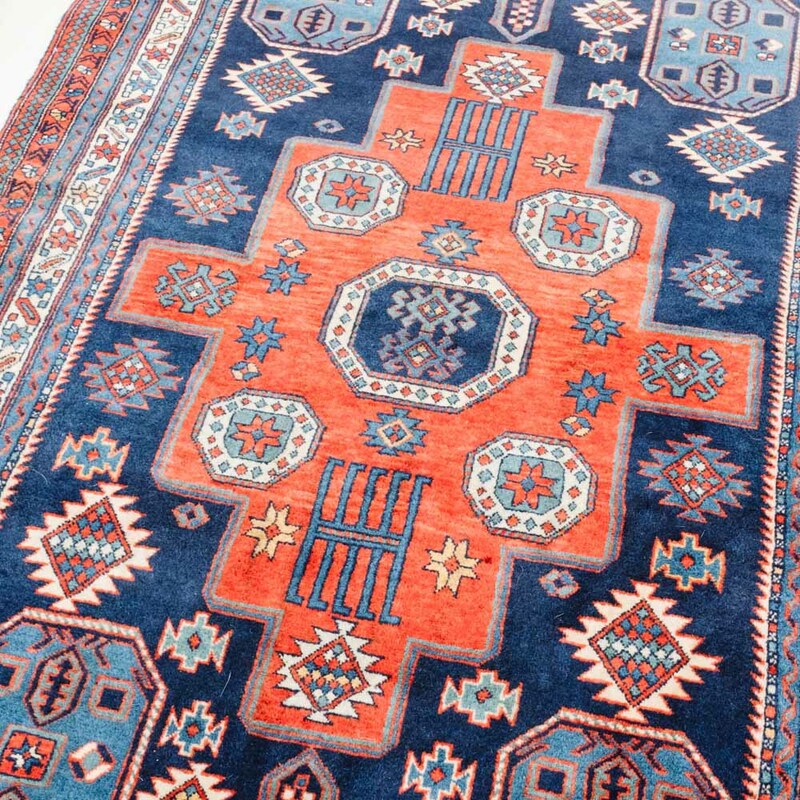 A wonderfully woven rug that has a stunning deep blue field with a orange center and border. 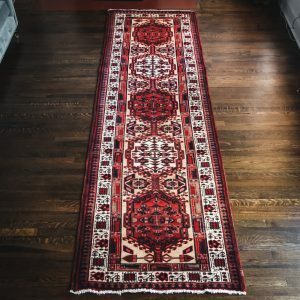 Ambitious Home\'s rugs are one of a kind, handwoven and vintage unless stated otherwise. 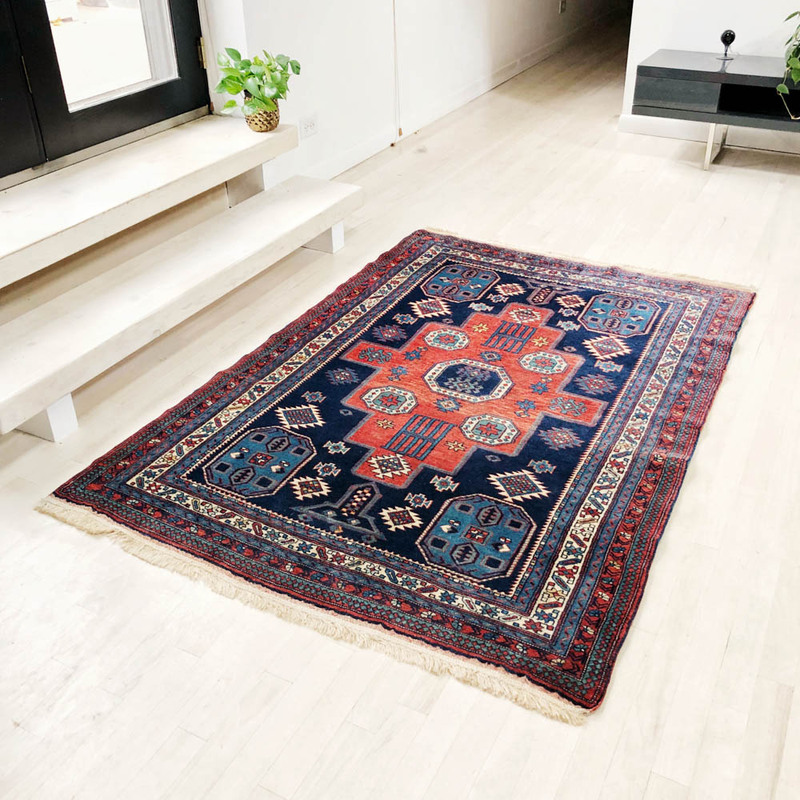 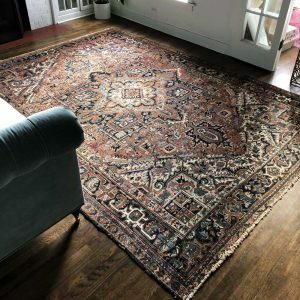 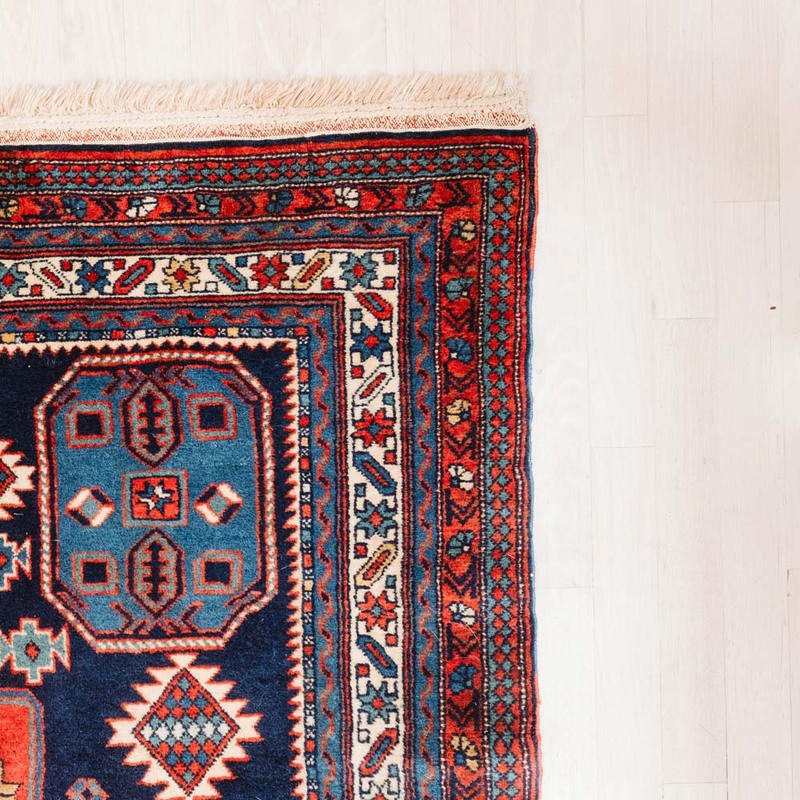 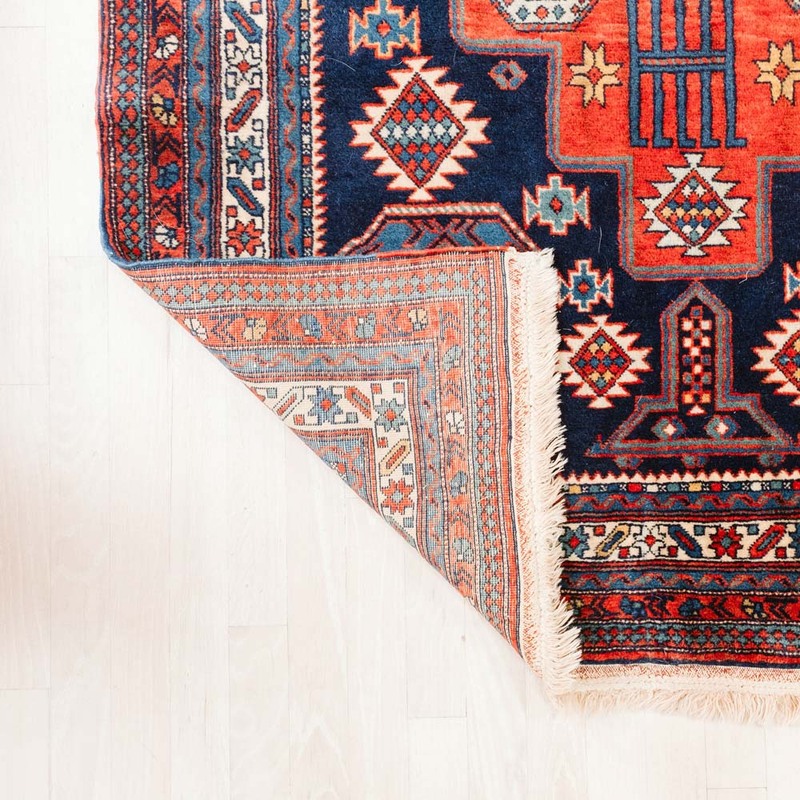 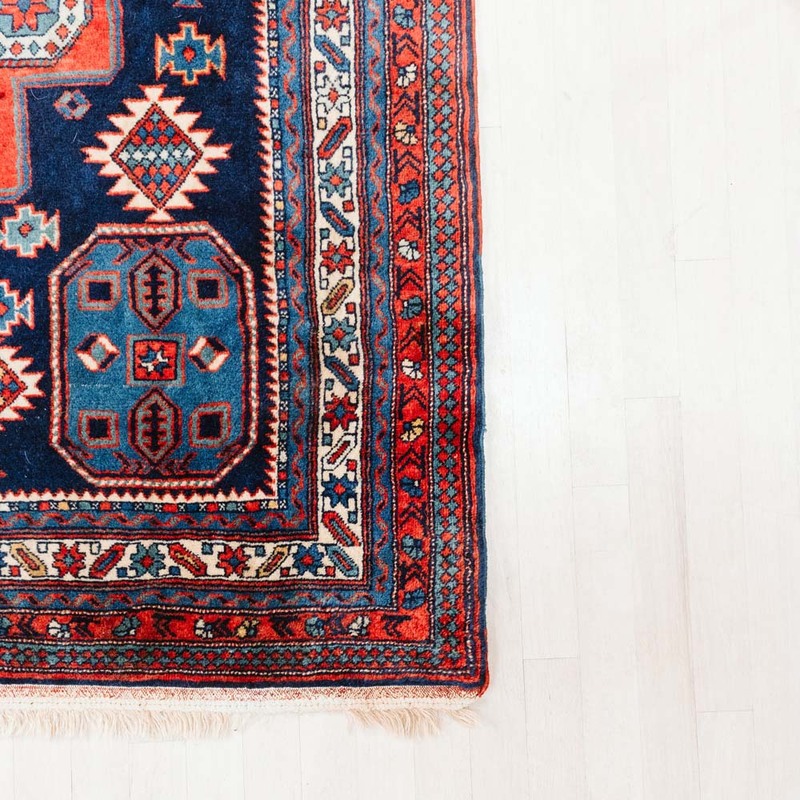 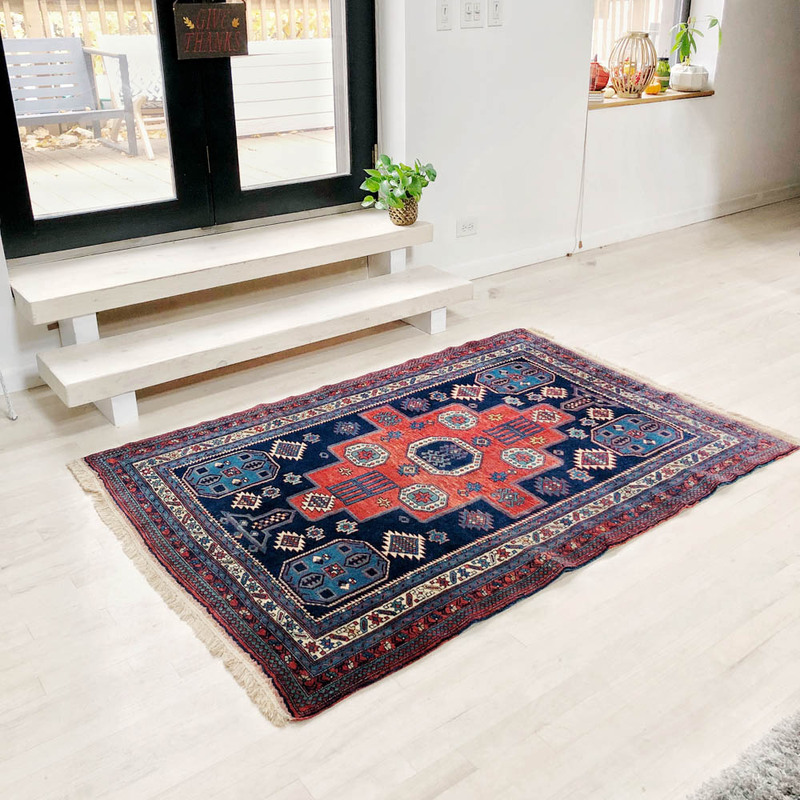 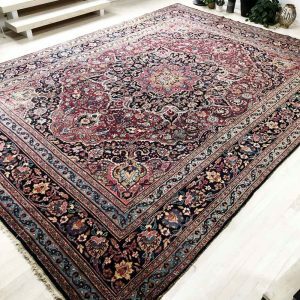 Due to age, vintage rugs may have small imperfections, worn areas, and occasional repairs.